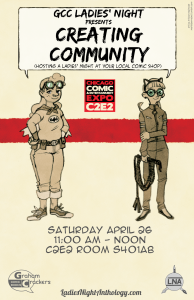 For the month of April leading up to C2E2 on April 25-27, I’ll be running a series of posts spotlighting panels and events at the convention associated with friends, colleagues and other local Chicago nerd organizations. To start, here’s the discussion by the women of the popular monthly Graham Cracker Comics Ladies’ Night group. Thanks to Caitlin Rosberg for providing the write-up, looking forward to attending the panel! For those of you in the Chicago area, the next GCC Ladies’ Night is tomorrow night, Wednesday, April 2, at the Downtown/Loop location at 77 E. Madison, 6-8pm. Women get an extra 10% GCC purchases as part of the event! You may be friendly with the employees at your local comic shop, but how well do you know your fellow shoppers? How often do you talk comics outside of the Internet? Why does it matter? Learn how to build community and change your experience of fandom by hosting Ladies’ Night. Founded in 2012 by Hannah K Chapman, the Ladies’ Night at Graham Crackers Comics has hosted up to 35 women of all ages every month to talk about the fandoms they love. Especially in a world that needs resources like Hater Free Wednesdays, it’s important for female fans to carve out their own spaces and show the world that women read comics, too. Join the panel to speak more about creating safe spaces in stores and running your own ladies’ night event with the cooperation of employees and owners. You can find the Ladies’ Night crew on Facebook or at their website. 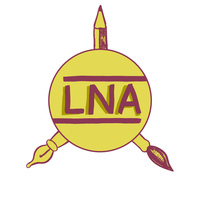 The panel is staffed by the editors of the Ladies’ Night Anthology, currently in the process of wrapping up the second volume creative process. In mid-April, the group will be kicking off an Indiegogo to raise printing funds. Hannah K Chapman, who may not join because she is based in the UK, also founded Comic Book Slumber Party, and is currently trying to raise funds for the trip. 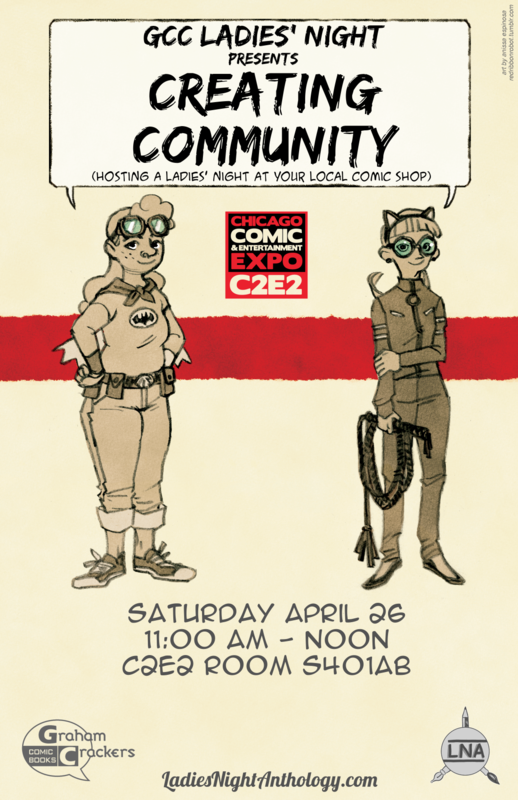 This entry was posted in Event, Panel and tagged C2E2, comics, discussion, GCC, Graham Cracker Comics, Ladies Night, LNA, panel, women by Michi Trota. Bookmark the permalink.